The new Accordi Disaccordi's album, published on July 8, 2016. 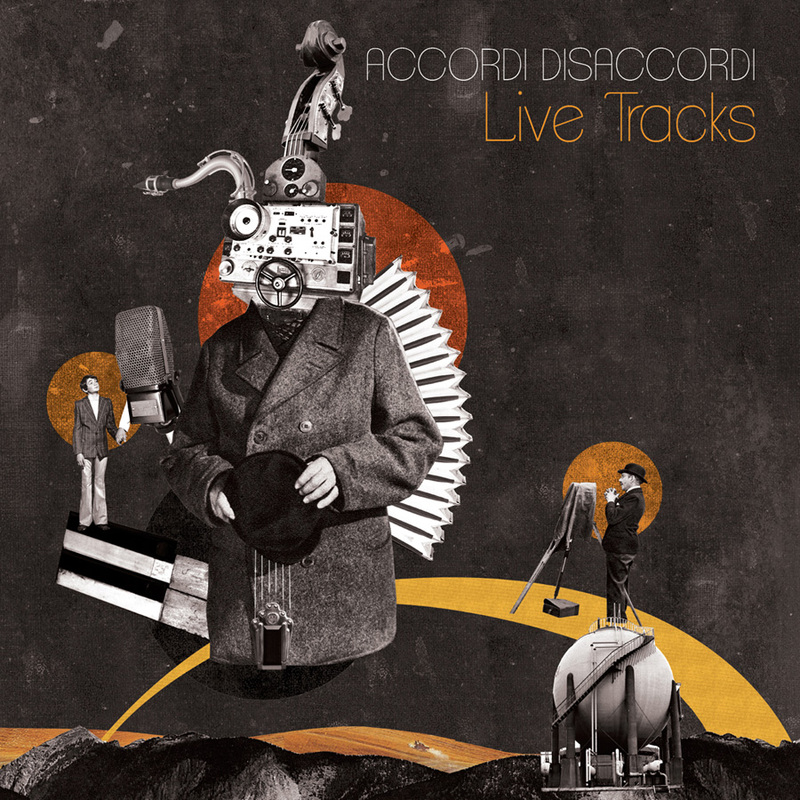 "Live Tracks" is the new album by Accordi Disaccordi, produced entirely in Italy, released about one year after the previous "Swing Avenue" CD. Not a real album, but a sort of "musical diary" of 12 months of meetings, friendships and collaborations with other great Italian and international musicians, summarized in ten tracks, recorded in two different studies. Accordi Disaccordi are the two founders, Alessandro Di Virgilio on lead guitar and Dario Berlucchi on rhythm guitar, and Elia Lasorsa on doublebass and in this occasion they collaborated with some other great musicians: Gonzalo Bergara on lead and rhythm guitar, Diego Borotti on sax, Roberto Cannillo on accordion, Sergio Di Gennaro on piano, Rossanda Landi on voice e Dario Terzuolo on sax. The CD has been recorded by Carlo Miori of Only Music Studio in Bruino (TO) and Gianluca "Johnny" Barbato, who also mastered it, with the invaluable assistance of Midi Music Torino and RØDE Microphones. Gonzalo Bergara plays guitar in "Djangology", "Gipsy Sun" and "When Day is Done"
Diego Borotti plays sax in "Bernie's Tune"
Roberto Cannillo plays accordion in "Les yeux noirs/Oci Ciornie"
Sergio Di Gennaro plays piano in "Via con me"
Rossana Landi sings in "Coquette"
Dario Terzuolo plays sax in "What is This Thing Called Love?"